is coaching High Professional Performance. 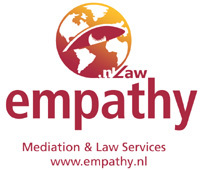 Michael Boelryk is founding partner of Empathy .nLaw Mediation & Negotiation Counselors. Apart from his coaching practice he is active in the same disciplines of what he did for the last twenty years. Enjoy Every Today ! It is the most precious thing to share. 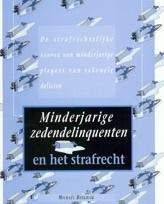 Michael Boelrijk, Doctor of Laws, Criminologist obtained his Law degree in Amsterdam in 1991. In 1992 he became Master in Criminology. 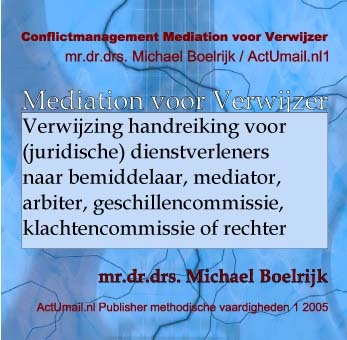 Michael Boelryk received his Doctorate in Law in 1998. 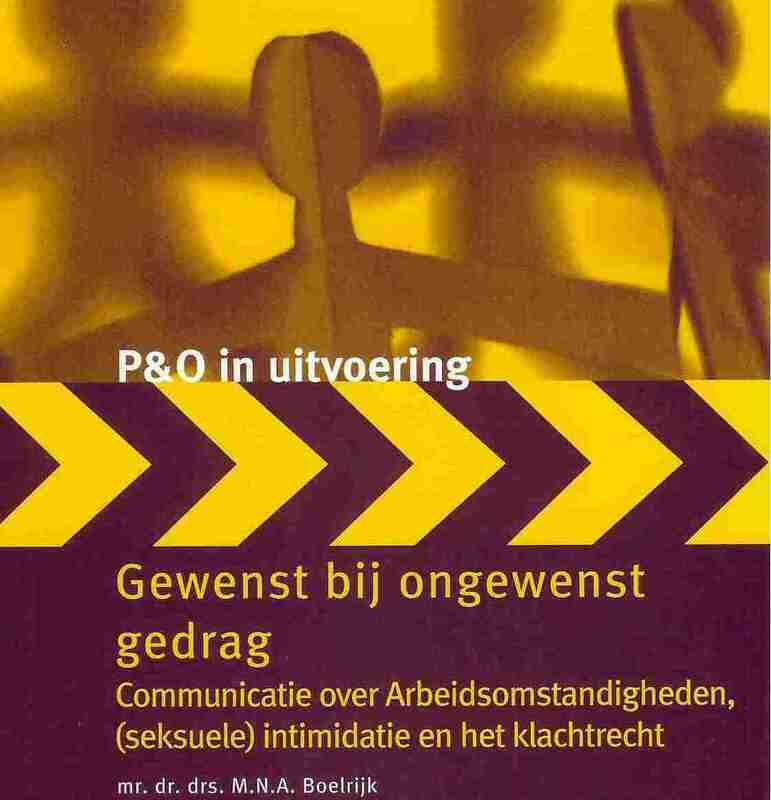 He worked as assistant professor in Criminal Law in Amsterdam. He was treasurer for a Forensic Society for many years. He was also visiting scholar at the Boalt Hall Law School, Berkeley, University of California. He has insights of Christian and Islamic Law as well as in Buddhist principles. He is advisor of the “Dutch Society of Anti-discrimination art.1” He meets locals in Sri Lanka, Indonesia, Malaysia, Thailand, Cambodia, Vietnam and Lao. 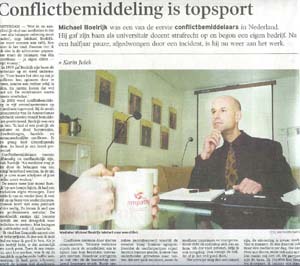 Michael Boelryk gives workshops at international conferences in Europe and USA. Projects 2008: exploring opportunities in South East Asia. Exploring legal aspects and negotiations for investment in tourist real estate at Bonaire Netherlands Antilles. Projects 2009: exploring opportunities in Thailand and Coaching High Performing Professionals. Peter de Vries, Secretary General, Dance Universe Society recommends Michael: “The Dance Universe Society is proudly sponsored by Michael’s Empathy Law firm. Not only did he make the most amazing pictures he also helped as stage-manager. We didn’t have to ask him anything he just saw what needed to be done and did it with a smile! It was not only fun to have him around at a production, all over the country, it is so good to know you can rely on someone who supports you when you need it most.” Boelrijk’s vision: If someone makes any complaint, always see it as useful feedback. Acknowledge that somebody takes the effort to address it to you. Always ask the complainer how he wants practically to resolve the problem on short notice. Always accept and enjoy life event, as it’s enrichment makes you wiser. Michael Boelrijk speaks English, German and Dutch. Hobbies: traveling & photography, sailing & diving, Jiu Jitsu & Buddhism.